The Eyes on the Prize I Interviews Collection consists of 127 raw interviews conducted with participants in the American Civil Rights movement, covering the years from the mid-1950s through to 1965. 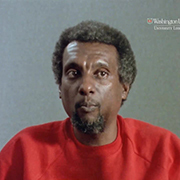 The interviews were recorded by Henry Hampton and the Blackside production company as part of the acclaimed documentary series Eyes on the Prize: America’s Civil Rights Years, 1954-1965. 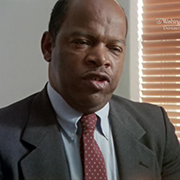 The series originally aired on PBS in 1987, and was followed by a second series in 1990, Eyes on the Prize: II: America at the Racial Crossroads 1965-1985. 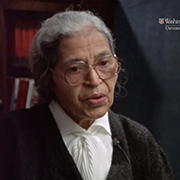 The series garnered several Emmy awards, a Peabody, and an Academy Award nomination, and is considered the definitive documentary on the Civil Rights Movement. The recordings include cuts, incidental conversation, production notes, and segments with sound but not film; some interviews are sound only. The questions asked of interviewees are usually audible, and interviews range in length from ten minutes to two hours. 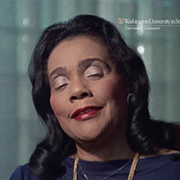 The interviews were reconstructed and digitized from the original film materials by the Film & Media Archive at Washington University. 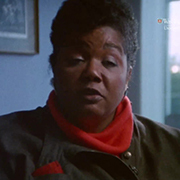 Founded in 1968 by filmmaker Henry Hampton (1940-1998), Blackside, Inc. has produced more than sixty major film and media public television projects with a focus on social justice. In addition to Eyes on the Prize, other award-winning productions from Hampton and Blackside include The Great Depression, Malcolm X: Make It Plain, America’s War on Poverty, This Far by Faith, and I’ll Make Me a World. 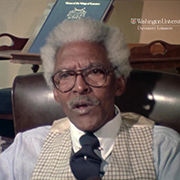 Over the course of his career, Hampton was the recipient of over ten honorary degrees and several lifetime achievement awards. His papers and film archive are held by the Washington University Film and Media Archive in St. Louis, Missouri. Records are described at an item level, and all records contain brief descriptions of topics discussed during the interview. Complete text transcripts exist for all of the interviews, available to view alongside the media record. Users may navigate from the transcript to the corresponding section in the media record by clicking on the small purple ‘play’ buttons that appear on the left side of the text. To identify persons or topics of interest within the collection, users can search by interviewee name or by keyword.